If you aren't following Star Trek on Facebook, you're missing out. They post a lot of news and information about the franchise and occasionally ask the fans questions. 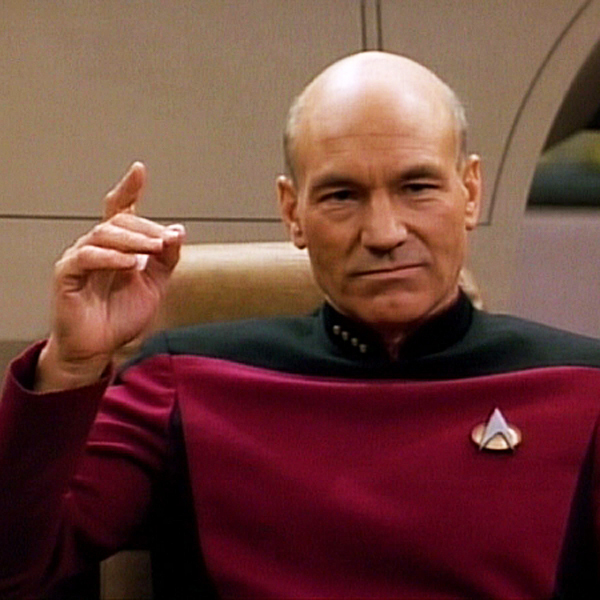 Today, they asked which Star Trek captain would make the best president. Jean Luc Picard is the President. His sense of diplomacy and wisdom make him the most natural choice for the leader of our phoney government. As long as he isn't kidnapped and brainwashed by a much more powerful enemy, we're in good hands. 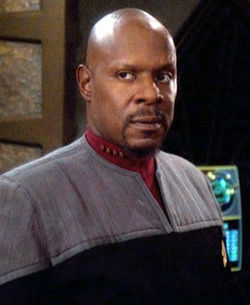 Benjamin Sisko would obviously be the Vice President. Since he runs a space station every day, handles international incidents with regularity, and has a really personable demeanor, he'd do a great job with all the stuff (I imagine) the VP does. Also, he could totally throw out the first pitch at a ballgame and wouldn't embarrass himself. 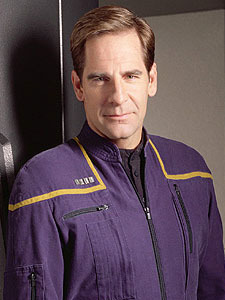 Jonathan Archer loves making new friends. His wide-eyed sense of wonder mixed with his optimism for successful, peaceful relations between peoples, make him a great Secretary of State. 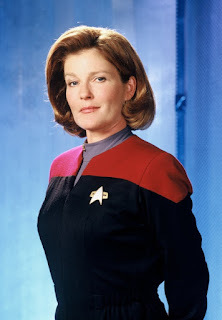 Basically, Janeway's a badass. She's less concerned with diplomacy and more concerned with protecting her people. If anyone should be in charge of something dangerous on the other the end of what I assume to be a big, red button, it's Janeway. 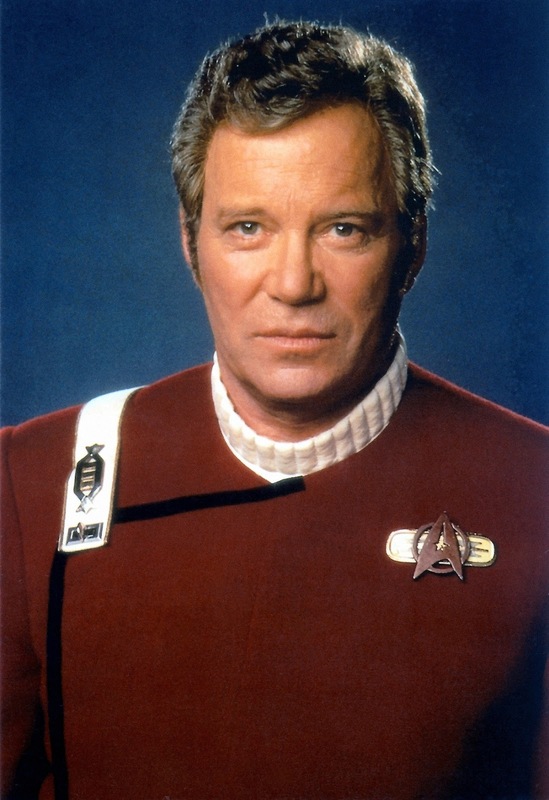 Jim Kirk is obviously the affable ex-president of our government. We remember him being a better president than he was and sometimes, we wish he was back. His job is to cut ribbons, open libraries, and go on talk shows. He's the one who visits foreign countries on "missions of diplomacy" so that he can leer (in an oddly appealing way) at their women and be heard saying, "This food is ok. But it'd be a hell of a lot better with ketchup." 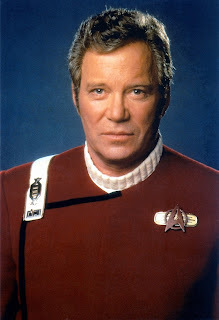 Any slots for the James Kirk from the new Star Trek movies. How about the alternate evil universe Captains? Oh wow! That's a great idea. I thought a little about Chris Pine's Kirk while writing this and I'm not sure where I'd put him. As for the alternate universe, I might have to run a totally rigged Terran-Empire election for them! The paragraph about Kirk made me laugh out loud. Opening libraries and kissing babies. Sweet retirement, right? He can be our Jimmy Carter.